The truth is, from time to time we all hurt each other. The pain from that hurt sours our hearts and can sever even our closest relationships, tempting us to return vengeance to the offender. But forgiveness transforms our lives and sweetens those relationships again. God calls us to follow His redemptive lead in forgiving those who have hurt us, guaranteeing that He’ll provide the grace necessary to pursue this intensely difficult task. Families need to talk about forgiveness because we all fail one another repeatedly. Yet God still asks us to reconcile our relationships to a state of wholeness to build an irresistible life of grace and mercy. The role models in these true stories will capture your family’s attention, granting vision and worthy examples that will redefine forgiveness for every age. 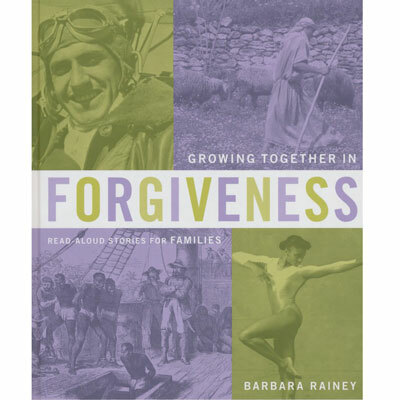 With captivating true stories to read as a family, this seven-day interactive devotional from speaker and best-selling author Barbara Rainey saturates minds and hearts with memorable accounts and vivid illustrations of true heroes who made noble choices. Encounter real-life heroes right in your living room—and begin to grow together in character as a family.